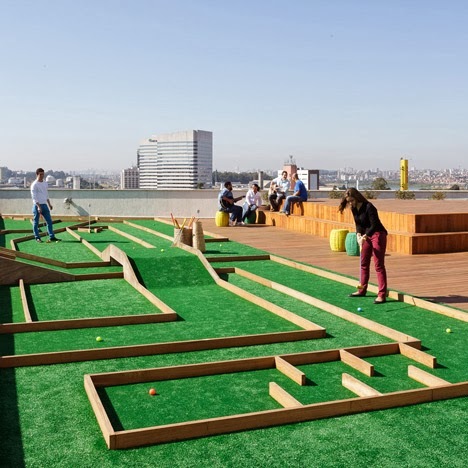 Walmart's offices in São Paulo occupy the last four floors as well as the rooftop of a ten storey building in the West of the city. 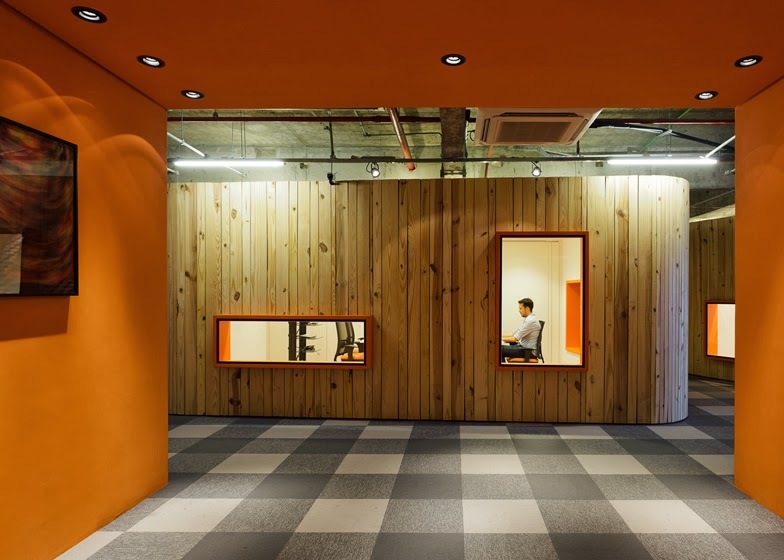 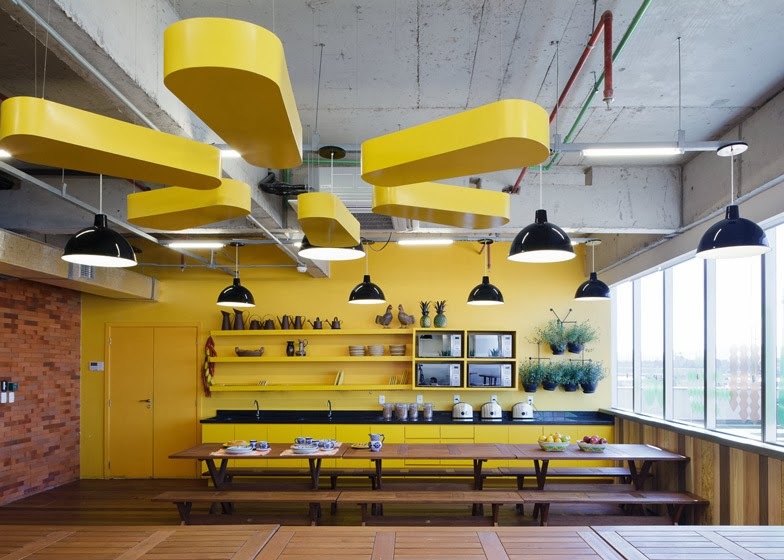 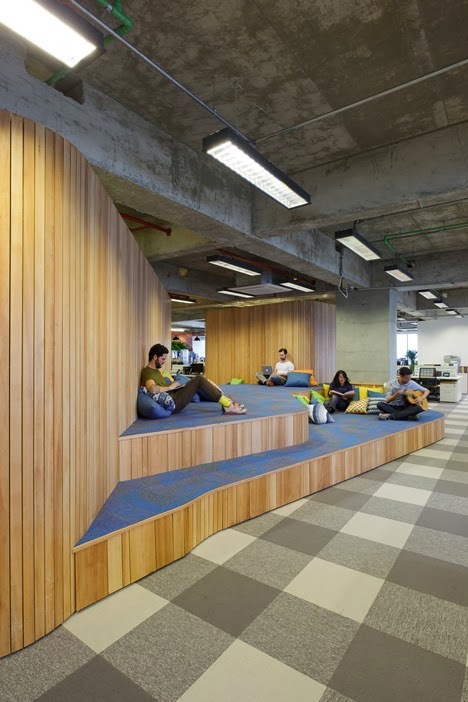 Developed by Estudio Guto Requena, the corporate headquarters has colour coded floors, each of which uses a distint dominant wood type. 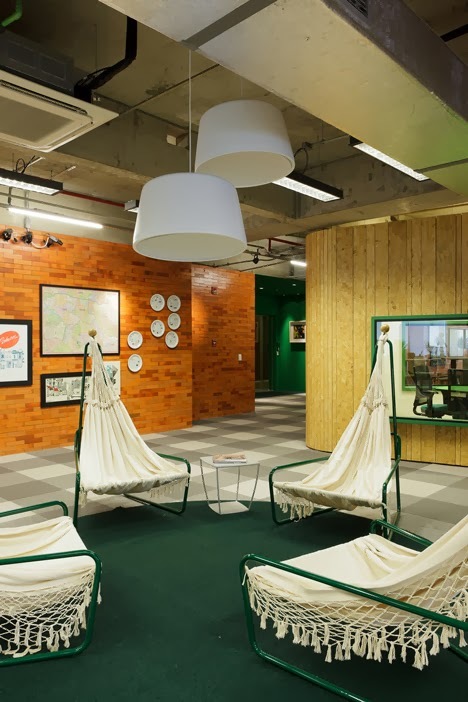 Most of the furniture is the work of local Brazilian designers and there's even a mini golf course on the terrace .